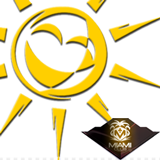 It's not too late to join the Sunshine Slots Tournament now on at Miami Club Casino. There's still plenty of time to get the high score on this week's game and the slots tournament series continues for a couple of weeks more after this! This week the tournament game is Cleopatra’s Pyramid. Buy-in is only $5 and the winners will split a $1500 prize pool. The first place player gets $500. Cleopatra’s Pyramid is a five-reel slot game from Wager Gaming. It has a bonus game where you choose blocks in a pyramid to reveal prizes. The popular Egyptian-themed slot is available in Miami Club’s download and instant play casino as well as its mobile casino. Next week (August 20 – 26) the featured slot is Jester’s Wild followed by Fat Cat in the last week of August (August 27 – September 2). A complete list of daily, weekly and month-long slots tournaments is available online at http://miamiclubcasino.im/en/tournaments. Register for any of these tournaments by clicking on the Tournaments tab in the casino. Featured game this week is the Cleopatra's Pyramid slot from Wager Gaming. Miami Club Casino has online casino games from Wager Gaming that aren't available at many other casinos. Until the end of August you can earn double comp points playing any of their progressive jackpot slot games like Mine All Mine.